The role of photography stylists can be summed up simply, their mission is to make the subject of commercial photography and the scene being captured in look as good as possible. It’s the means by which this is achieved which requires a lot of skill, practice, ingenuity and experience. It takes a lot of make a photography set look beautiful yet ‘ordinary’. For a roomset, an entirely fabricated backdrop, which needs to look like it’s been plucked from ‘real life’, every single aspect of the scene needs to be placed there deliberately and arranged in a way to make it look like it’s always been there. 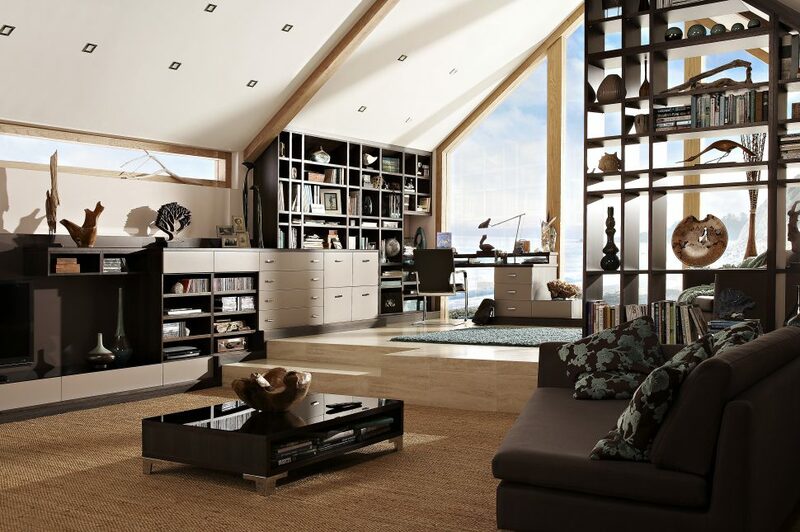 A living room scene, with walls, a floor, a ceiling and a little furniture looks too sparse to be believable, but a smattering of casually strewn cushions, some magazines loosely stacked on a coffee table, flowers arranged in a vase, books in a bookcase and a whole host of other details, combine to make the scene look natural. This scene should be appropriate to the subject being photographed, subtly convey a mood and do so without being a distraction from the focus of the photoshoot. While arranging a scene into a study of imperfect perfection, photography stylists have a number of tricks up their sleeves and tools in their toolkit to help style the scene, so that every aspect of it is ‘just so’. A steam iron – The tablecloth, the curtains and the shirt the model is wearing, were all bought specially for the shoot and have only just been taken out of their retail packaging. Consequently, they’re full of creases, which will show up on the photoshoot. A good quality steam iron however, will make short work of those wrinkles. Florist’s Wire – Small thin pieces of malleable wire are useful for more than just making flowers stand up straight. They can hold things up, tie them together and come in hand for a whole host of other uses. Bulldog clips – Small, but very strong, these clips are great for securely holding and gripping a variety of objects. Especially handy for making garments look ‘extra tailored’ by gripping excess material behind a models back. Sewing Kit – Whether is be a needle and thread, or a collection of pins, a sewing kit is indespensible when it comes to styling fabrics of any kind and a tape measure is often indispensable. Fishing Line – Strong and designed to be nigh on invisible, fishing line is great for when things need to be inconspicuous secured. Props can also be suspended from fishing line without the ‘strings’ being obvious. All Kinds of Tape – From sticky tape to duct tape and every kind of tape in between, there’s always something to be stuck up, stuck down or held in place. WD-40 – A multiple-purpose oil, degreaser and way to make objects (or food) look extra shiny. 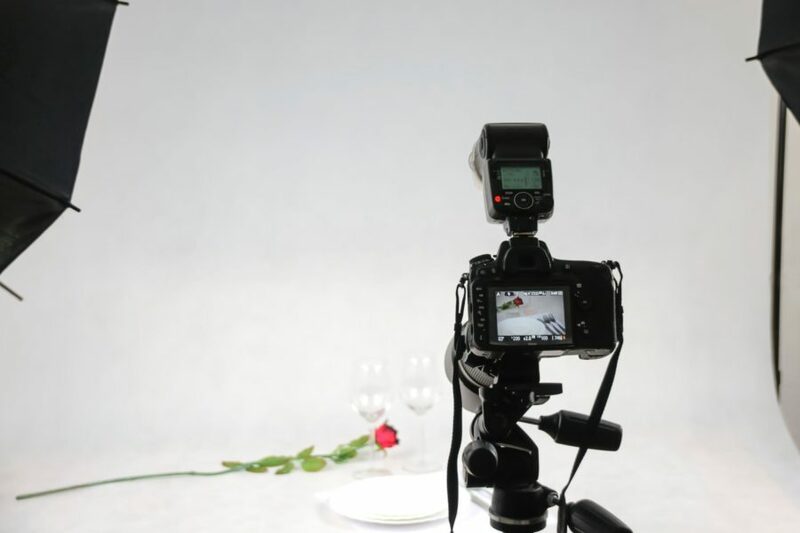 Wedges and sponges – In order to show a product or prop at precisely the right angle, a little behind the scenes support often comes in handy. While not exhaustive, these are some of the items which photography stylists will always find a use for when working on-set. Food photography probably deserves a section all to itself. There are any number of ways to make the mouthwatering images used to market food. Most of which involve taking photographs of food which is rarely edible afterwards. Those incredibly red strawberries – might be enhanced with lipstick. 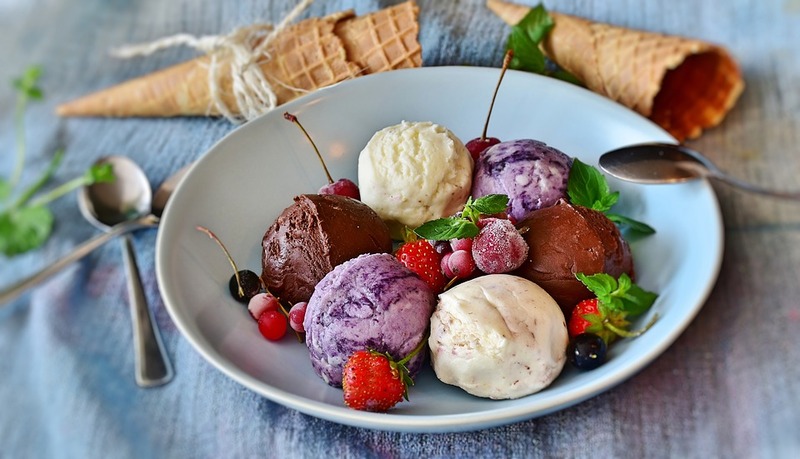 That delicious looking ice cream, it’s probably either mashed potato or lard and food colouring (real ice cream doesn’t last long under studio lights). That beautifully bronzed turkey is almost certainly raw underneath, but with soy sauce or gravy used for the colour, a blowtorch used to add the crispiness, possible with motor oil for added gloss. That bowl of cereal hasn’t gone soggy, because that’s not milk in the bowl, it’s PVA glue! An eye for detail, an artistic flair and above all, resourcefulness and ingenuity are all skills which an experienced photography stylist can put to use in order to make the scene and the subject of a photo shoot look their best. Photography is about capturing an idea as much as it’s about capturing an image, so the scene and the subject need to be shown in the best possible light and appear as perfect as is believable in order to attract and inspire the audience. 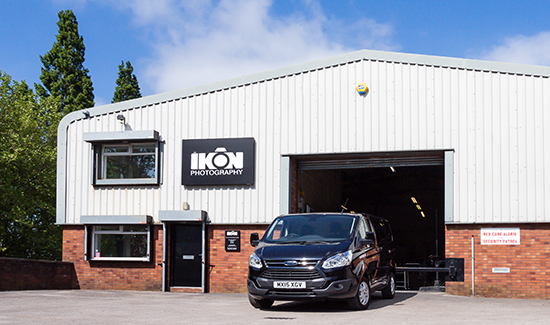 Ikon Photography is a Manchester Commercial Photography company with decades of experience in creating engaging photography which helps our clients sell their products and services. From Recruit to CMO, marketers are analysing how their winter campighns performed & arranging the photoshoot for their Spring and Summer marketing.